First of all, it should be noted that the idea of writing such a work is based on the author’s ethical and philosophical attitudes, which establishes the a priori basis contained in unfounded premises for it. “Justice is the first virtue of social institutions, as truth is of systems of thought” . And as the theory must be rejected or revised, if it is untrue, likewise public institutions (no matter how efficient they are) must be eliminated or reformed if they are unjust. Thus, justice is initially proclaimed the universal value of human existence, including political philosophy. Ethical virtue becomes the foundation of our choice of the political system. Now, consider the situation of the original position and the choice of two principles of justice. Philosopher writes that Justice as Fairness is a deontological theory where the concept of right (due) is prior to that of the good. The arguments against intuitionism are especially interesting in this respect. According to Rawls, intuitionism proclaims plurality of first principles that can contradict each other, and lead to different political attitudes in different cases. Although Rawls cannot completely avoid reliance on intuition, he tries to limit its influence in his theory. One of such methods is the reliance on the universal principle of rationality. Rawls tries to escape from ethical judgments to judgments that appeal to rational prudence. Only after choosing the first principles of the basic structure of the future state in the original position, we choose moral facts. So, using intuitive faith in the universal value of justice, John Rawls attempts to construct a universal concept of the social order that is based on the individuals’ rational choice of the principles of justice. According to the author’s intention, rationality is a universal tool that any individual has. In Rawls’ theory, it means that all the people will use their rationality and they also choose Rawls’ principles in original position. The principles of justice and human rationality take the universal form. 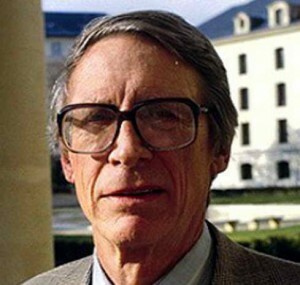 A view upon the difference in cultures as irrelevant leads John Rawls to postulate his two principles of justice as the best for the state system. This opens the door for building a “doctrinal” political regime. Deontological social liberalism developed by John Rawls is based on the universal principles of obligation, which are the result of the choice of people themselves, i.e. conventional establishment (even in a mental experiment). The situation of the original position, in which these principles are enacted, is introduced to test our intuitive moral judgments. The author has a certain sense of justice, which is based on a certain view of the world, a certain attitude to certain values, and a certain understanding of what is due. This is the real basis for social liberalism of John Rawls. The whole subsequent procedure is just creation of a certain set of conditions under which this value Rawls’ worldview will be accepted as a universal theory. But if we refuse the original position as something unconvincing, then the whole great Rawls’ construction loses foundation. The absence of this foundation closes the transition from the author’s value propositions to the postulation of universal principles. 1. Rawls John, A theory of justice— Rev. ed. the President and Fellows of Harvard College, 1999.